Back in 2012, we met Wreck-It Ralph, the Donkey Kong-esque character in a video game. Ralph and his fellow pixelized pal Vanellope Von Schweetz return for more adventures in 2018’s Ralphs Breaks the Internet. In the first film, Ralph (voiced by John C. Reilly) and Vanellope (Sarah Silverman) managed to develop lives beyond the strict roles their arcade games prescribed and became friends in the bargain. Years later, they go through a regular routine, one that suits Ralph just fine, though Vanellope feels less satisfied. A threat arises when a customer accidentally breaks the steering wheel to Vanellope’s driving game, and arcade owner Mr. Litwak (Ed O’Neill) can’t afford to fix it. This means he’ll get rid of the machine, and that would end the friendship between Ralph and Vanellope. Desperate to solve this problem, Ralph learns about the Internet and finds out that he could purchase a new game component there. 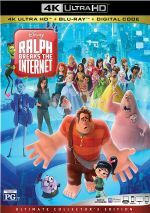 Along with Vanellope, Ralph ventures into the wild world of the web and goes through many adventures as he attempts to repair the machine and retain his friendship. If one wonders why it took six years for Disney to produce a sequel to Wreck-It, I suspect the 2012 flick’s box office returns offer an explanation. With a budget of $165 million, the movie made $471 million worldwide, a figure that might’ve allowed for a small profit but not much. Given inflation, Breaks fared just about the same. It came with a slightly larger budget and it made a wee bit more money, but in the end, I suspect it’s a wash.
It’s no crime for a sequel to roughly equal the gross of the original film, but it can’t inspire confidence in Disney to produce a Ralph 3. $175 million seems like a lot of money to invest in a movie that winds up as its year’s 14th biggest US hit, even if one assumes toys and other memorabilia help pad the bottom line. If we never get a third chapter in Ralph’s saga, I think I’ll survive. Like the first film, Breaks offers a moderately entertaining tale but it never turns into anything better than that. When I reviewed the first movie, I critiqued the narrative, as I felt it came up with scenes and cobbled a plot around them. I can’t help but think that Breaks operates in the same manner, as its “story” often seems like little more than an excuse to explore various Internet concepts. Of course, we do get the theme related to the future of the Ralph/Vanellope friendship, and that motivates a lot of the action. However, this notion comes across like a MacGuffin of sorts, as most of the film progresses without much real consideration of the character elements. Yes, the Ralph/Vanellope plot allows the film to churn out a bit of emotion, especially at the end, when Ralph needs to more concretely confront his fears and the future. Still, I don’t think the movie explores the roles especially well, as it clearly prefers to lampoon the excesses of the Internet. And those moments generate amusement, even if there’s a bit of a been-there, done-that to it. While Breaks brings a higher quality effort than 2017’s Emoji Movie, the latter featured a lot of the same sort of material, so Breaks can feel like it rehashes material. Every once in a while, Breaks springs to life, with a sequence in which Vanellope meets the Disney Princesses as the best of the bunch. Clever and self-mocking, this segment offers easily the strongest part of the movie, and I love that all the living actors reprise their roles. Kelly Macdonald's update on her Brave character becomes the funniest bit in the flick. Otherwise, the film seems hit or miss. Again, Breaks manages to become a likable effort, and it keeps us with it for its 112 minutes. However, it doesn’t develop into anything genuinely great – it offers a moderately engaging tale that fails to match up with Disney’s better films. Footnote: a little added scene shows up a couple minutes into the end credits. A short tag arrives at the finish of the credits as well. Ralph Breaks the Internet appears in an aspect ratio of approximately 2.39:1 on this 4K UHD Disc. As expected, the movie delivered excellent visuals. At all times, the film showed terrific delineation. No instances of softness arose, so the image remained tight and well-defined. I witnessed no jagged edges or shimmering, and edge haloes were absent. Of course, no print flaws popped up, so this remained a clean presentation. Colors excelled. Given all the imaginative situations, the film boasted a broad, lively palette, and the hues came across with great vivacity. The 4K’s HDR capabilities added tremendous impact and made the colors leap off the screen. Blacks appeared dark and deep, and shadows seemed smooth and concise. The HDR helped give whites and contrast great impact as well. Everything about the image satisfied. I also felt pleased with the film’s Dolby Atmos soundtrack. Downconverted to Dolby TrueHD 7.1, parts of the audio stayed with general sense of the various situations, but more than a few action scenes resulted. The livelier sequences displayed nice range and involvement, and the rest of the material also managed to place us in the locations well. The track used the different channels to convey a lot of subtle but engaging information. Audio quality satisfied. Speech remained natural and distinctive, while music appeared peppy and clear. Effects showed nice dynamics, with crisp highs and warm lows. I thought the soundtrack added zest to the proceedings. How did the 4K UHD compare to the Blu-ray version? The Atmos audio added some involvement and zing, while visuals got a bump from the 4K UHD’s capabilities. In particular, the disc’s HDR became the main beneficiary, as the 4K UHD’s colors easily topped those of the Blu-ray. Sharpness also demonstrated improvements, but it was the hues that really elevated the presentation. Those alone made the 4K UHD an obvious upgrade. No extras appear on the 4K UHD itself, but the included Blu-ray copy comes with some materials. Surfing for Easter Eggs runs three minutes, 36 seconds and reveals some of the many hidden Disney references in the movie. It’s incomplete but fun. With The Music, we get a 10-minute, 18-second reel with notes from producer Clark Spencer, executive music producer Tom MacDougall, composer Henry Jackman, and directors Phil Johnston and Rich Moore, songwriter Alan Menken, singer Julia Michaels, musicians Imagine Dragons and actor Sarah Silverman. The program gives us basics about the movie’s score/songs and becomes a pleasant examination of the subject. BuzzzTube Cats lasts one minute, 47 seconds and depicts cat videos the animators made to populate the film’s background. The compilation seems watchable but forgettable. The disc’s most substantial feature, How We Broke the Internet goes for 32 minutes, 57 seconds and brings notes from Johnston, Moore, Spencer, story supervisor Jason Hand, story artist Natalie Nourigat, head of story Josie Trinidad, co-writer Pamela Ribon, art director for characters Ami Thompson, production designer Cory Loftis, lighting director of cinematography Brian Leach, layout director of cinematography Nathan Warner, heads of animation Kira Lehtomaki and Renato Dos Anjos, technical supervisor Ernest Petti, visual effects supervisor Scott Kersavage, crowd supervisor Moe El-Ali, head of effects Cesar Velazquez, and head of characters and technical animation Dave Komorowksi. “How” discusses the movie’s depiction of the Internet, and that means it covers a variety of character, design, cast/performances and animation subjects. We get lot of fine insights in this brisk, informative documentary. These tend toward additional character information and some alternate themes/plotlines that don’t appear in the final film. They’re usually pretty entertaining. Two Music Videos appear as well: “Zero” by Imagine Dragons and “In This Place” by Julia Michaels. Of the two, “Zero” fares best, as it integrates the movie’s arcade setting in a clever way. “Place” offers a less creative clip, but it’s still decent. 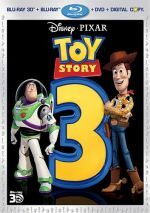 The disc opens with ads for Toy Story 4, Aladdin (2019) and Dumbo (2019). No trailer for Breaks appears here. With a wide array of potentially imaginative situations, Ralph Breaks the Internet occasionally springs to life. However, the movie lacks a lot of inspiration, so it winds up as an enjoyable but unremarkable effort. The 4K UHD brings excellent visuals as well as very good audio and a decent array of bonus materials. Like the first film, Breaks becomes a “B”-level Disney flick, though the 4K UHD makes it look and sound pretty great.